Ali Mohamed, the al-Qaeda double agent living in California. US investigators are already tapping his California phone and have been tapping calls between him and El-Hage since at least 1996 (see April 1996). Mamoun Darkazanli. He is a Syrian-born businessman living in Hamburg, Germany, who has contacts with Mohamed Atta’s al-Qaeda cell in the same city. Darkazanli’s name and phone number are listed, and El-Hage even has a business card listing El-Hage’s address in Texas and Darkazanli’s address in Hamburg (see Late 1998). Ghassan Dahduli. He works at two US non-profit organizations, the Islamic Association for Palestine and InfoCom. Both organizations will be shut down for supporting terrorist networks (see September 16, 1998-September 5, 2001). When al-Qaeda leader Mamdouh Mahmud Salim is arrested in late 1998 (see September 16, 1998), he is carrying records of an Al-Rajhi account. Some of the 9/11 hijackers use the bank. For instance, Hani Hanjour is sent wire transfers from Al-Rajhi bank in Saudi Arabia at least six times in 1998 and 1999. In September 2000, Nawaf Alhazmi uses $2,000 in Al-Rajhi traveler’s checks paid for by an unnamed person in Saudi Arabia. [Federal Bureau of Investigation, 10/2001, pp. 19, 31, 33, 34, 41, 87 ] And Abdulaziz Alomari has an account at the bank (see September 7, 2001). In 2000, Al-Rajhi Bank couriers deliver money to insurgents in Indonesia to buy weapons and bomb-making materials. According to a 2003 German report, bank co-founder Sulaiman Abdul Aziz al-Rajhi contributes to a charity front buying weapons for Islamic militants in Bosnia in the early 1990s. He is also on the “Golden Chain,” a list of early al-Qaeda funders (see 1988-1989). A US intelligence memo from shortly after 9/11 will say that a money courier for al-Qaeda’s second in command, Ayman al-Zawahiri, travels on a visa obtained by the bank. Sulaiman Abdul Aziz al-Rajhi. [Source: Nadec]A CIA report strongly suggests that the Al-Rajhi Bank is being used to finance militants. The bank is one of the biggest in Saudi Arabia, with an estimated $26 billion in assets in 2006. The report states, “Islamic extremists have used Al-Rajhi Banking and Investment Corporation since at least the mid-1990s as a conduit for terrorist transactions… Senior al-Rajhi family members have long supported Islamic extremists and probably know that terrorists use their bank. 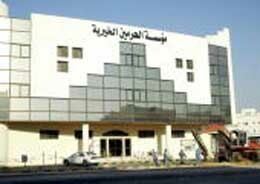 Reporting indicates that senior al-Rajhi family members control the bank’s most important decisions and that [their] principal managers answer directly to Sulaiman [Abdul Aziz al-Rajhi]. The al-Rajhis know they are under scrutiny and have moved to conceal their activities from financial regulatory authorities.” It adds that in 2002, Sulaiman ordered the bank’s board “to explore financial instruments that would allow the bank’s charitable contributions to avoid official Saudi scrutiny.” US intelligence have extensive circumstantial evidence but no direct proof that bank managers knowingly support terrorism. For instance, the report says that in December 1998, Sulaiman and his brother Salah sent $4 million to Germany and Pakistan using “a unique computer code to send funds at regular intervals to unspecified recipients, suggesting they were trying to conceal the transactions and that the money may have been intended for illegitimate ends.” Islamist operatives in many countries have used the bank, including at least some al-Qaeda leaders and 9/11 hijackers (see Before September 11, 2001). In 1997, US investigators recovered the address book of al-Qaeda financier Wadih El-Hage, and discovered Salah al-Rajhi’s phone number in it (see Shortly After August 21, 1997). Salah is Sulaiman’s brother and co-owner of the bank. In 2002, the US will raid the SAAR Network, a collection of linked financial entities in the US suspected of funding militants. SAAR stands for Sulaiman Abdul Aziz al-Rajhi, and the network was founded and funded by him (see March 20, 2002). [Wall Street Journal, 7/26/2007; Wall Street Journal, 7/26/2007] The US government will subsequently consider taking overt action against the bank, but will ultimately decide against it (see Mid-2003). The bank continues to deny any links to Islamic militancy.